We talk with Brett Pascal about the latest COH game. 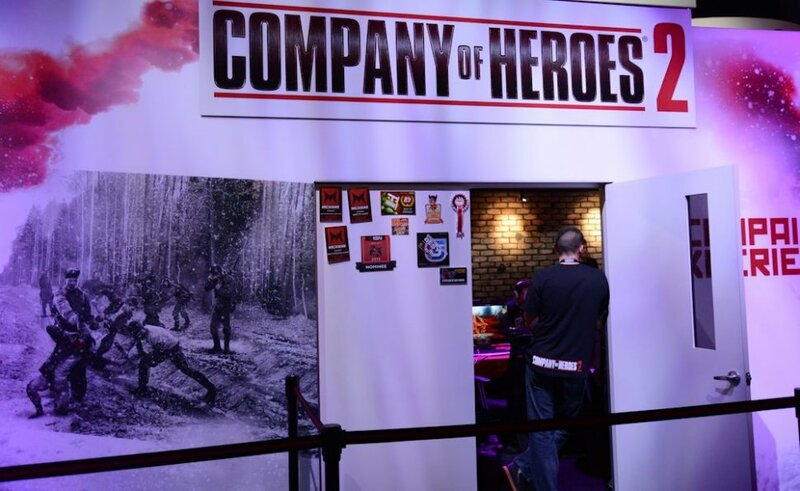 Company of Heroes 2 is in open beta right now until June 18th. While you won't be able to play any of the game's Theater of War scenario mode, you will be able to play some comp stomp co-op with a friend. Locke and I sat down with a refined version of the beta exclusive to E3 and took it took it to the computer before chatting with the game's lead artist. The map Locke and I played actually didn't feature a winter environment, so the elements didn't come into play. Instead we got to focus on building up our troops and conquering the map. Immediately we split up and decided to conquer control points on opposite sides while both contributing to defending the middle lane. As we progressed and earned enough resources we decided to specialize, Locke built out light vehicles while I concentrated on defensive items like anti-tank guns and machine gun teams. There was a solid back and forth battle with the AI - which was set to normal difficulty, but once we got our foothold and combined our forces pushing the middle of the map, it was all over. Teamwork was definitely crucial and victory was sweet. One thing I noticed was that just by playing comp-stomp the game still rewarded us with an achievement as well as unlocking some sort of in game item. It's good to know there are "tangible" rewards just for a friendly match. Along with the skirmish style co-op the game's Theater of War mode will provide scenarios in which players can co-op. We were told that these challenges will give players specific starting units and tech and task them with completing objectives. While we didn't get to see it, we were told that some missions might be a fight against waves of enemies survival style, while others might be more objective based. Company of Heroes 2 is out on PC on June 25th. Fans of the series will feel right at home here and should enjoy another solid RTS from Relic. Page created in 0.5790 seconds.